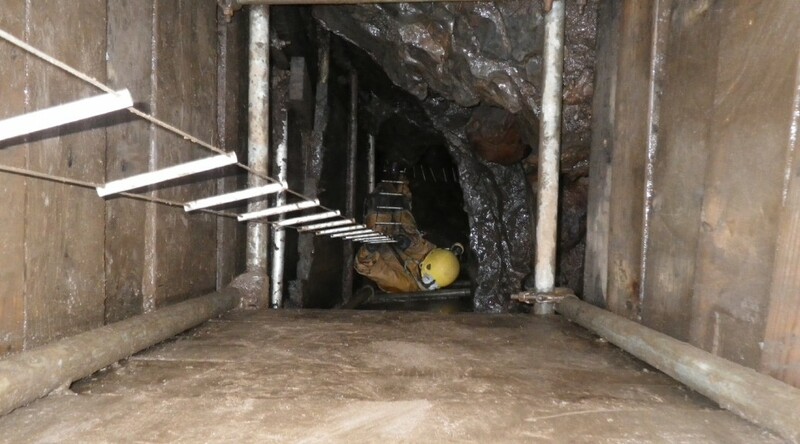 The Earby is a small but active caving club formed in 1945 with members based throughout the North West, many of whom meet up at Clapham Bunkhouse Bar and Cafe most weekends. The club has a well earned reputation for digging, and members can often be found burrowing in new potential holes both in the UK and in Spain. www.earbypotholeclub.co.uk has been set up mainly to try and record for posterity some of the many cave explorations, stories and digs from the club over it’s nearly seventy years of existence – and there’s a wealth of experience there – some of our members are still actively digging and sport caving despite being older than the club! Hopefully we’ll also get details on here of many of the digs that didn’t “go”. Have they got potential? What stopped them? Where are they heading? Are they worth revisiting with modern technology? As well as the website the club also has a Facebook page for members only at https://www.facebook.com/#!/groups/earbypotholeclub/. If you notice any errors, can add to anything or can contribute please get in touch! New, active and enthusiastic members are always welcome! Quick note on map positions – these are intended only as a rough guide – if you have an accurate GPS position for any of the sites please let us have it!